StoneBridge is a wildly popular new home community in Newnan and they are excited to announce that they have just opened a new section of homesites. Section 3C is now open with approximately forty homesites. Three inventory homes are under construction with one already under contract, one pending contract and four pre-sales for total of six sales in the last few weeks. Homes will range in price from the mid $200's well up into the $300's with basement and slab homesites available. Come tour our community and see what all the buzz is about! Experience for yourself how it would feel to come home to a beautiful 200 acre park-like neighborhood with townhomes, cottage homes as well as traditional suburban style homes. Move to StoneBridge just in time to enjoy all of the summer and year round amenities available. Amenities include a gracious three-building Clubhouse Village featuring a fabulous Fitness Center, take the time to improve your tennis game or take your children to the amazing playground. When the hot summer comes around , you can pass away the time at the inviting Junior Olympic Pool. Open Green Spaces abound and you will love the spacious Village Lawn ...where you can engage in a game of catch or just enjoy a picnic. If you long for the sights and sounds of nature then check out the nature trails for a pleasurable morning or afternoon stroll or jog. When choosing a new home community, the schools are a great consideration. Homeowners with children may attend Newnan Crossing Elementary, Arnall Middle and East Coweta High. StoneBridge is conveniently located in Coweta County in the city of Newnan, off of I-85 at Exit 47. StoneBridge is in the heart of Newnan’s new cultural district, directly across the street from Newnan’s Arts and Civic Center, and nearby to shopping, recreation and dining. *Information is believed to be accurate but is not warranted. Subject to errors, omissions, change or withdrawal without notice. *$7,500 bonus is valid on select inventory homes with contracts written on or after 2/27/15 and closing by 5/30/15. StoneBridge is Newnan's most popular new home community and with good reason. You could be living in StoneBridge and loving it like our current homeowners who are loving life at this beautiful 200 acre park-like neighborhood. At Stonebridge, there is something for everyone. Our neighborhood features townhomes, cottage homes with features such as detached rear-entry garages with private access lanes and covered porches; as well as traditional suburban styles. At Stonebridge they combine the charm of historic Newnan with resort style amenities. The amenities at Stonebridge are fabulous and include a gracious three-building Clubhouse Village featuring a fabulous Fitness Center, take the time to improve your tennis game or take your children to the amazing playground. When the hot summer comes around , you can pass away the time at the inviting Junior Olympic Pool. Open Green Spaces abound and you will love the spacious Village Lawn ...where you can engage in a game of catch or just enjoy a picnic. If you long for the sights and sounds of nature then check out the nature trails for a pleasurable morning or afternoon stroll or jog. At StoneBridge there are home plans to fit virtually all lifestyles. Choose from Townhome plans such as The Prescott and the Somerville or Traditional plans like The Arlington, Kendra and Hamilton. You can also choose one of the very popular Cottage plans such as the Norfolk, Roanoke, Hudson or Summerport. When you are thinking about buying a home, you are often shown mostly resale homes that need a lot of work or are priced too high for the size and area. Usually the appliances are old and the flooring is worn out, not to mention an aging roof and plumbing! One of the advantages of a newly built home is that you help design the home. Do you want a home that you have helped to design with your ideas and tastes plus the latest in energy efficiency and design or a previously owned home that may need fix-ups, paint jobs, and walls moved around to create the types of open spaces that make sense today? Another biggie is the energy costs on a new home versus a resale. If you care about “green” — whether that means the money you spend on energy bills every month or your concern about the environment — a newly constructed home is virtually always the better option. Homes built today must meet far tougher national code standards for energy efficiency than just a few years back. Most newly-built homes, in fact, come with energy certifications covering walls, roofs, windows, doors and even appliance packages. Virtually no resale homes offer certifications because they were built to much lower standards — often decades ago, when energy usage was an afterthought. When you buy a resale house, you get what’s already there. That may include room layouts, ceiling heights and lighting that may have made sense in the 1950s or earlier — formal dining rooms, small kitchens, fewer bathrooms and windows, and the like. With a new home, by comparison, you can often participate in the design of interior spaces with the builder, in advance of actual construction. Plus many new homes come with the sophisticated wiring that’s needed for high-speed electronics and communication equipment, entertainment centers and security systems. By definition, with a new house everything is new, including costly components — such as the furnace, water heater, air conditioning unit, kitchen appliances and roof, — and doors, windows, and more. In a new home, most of these components come with a warranty, sometimes for up to 10 years. With a resale house, the equipment and structural features you buy have been in use for awhile, and may be close to needing replacement. There may or may not be warranties, but if there are they probably have significant limitations. Stonebridge in Newnan offers townhomes, turn-of-the-century homes with features such as detached rear-entry garages with private access lanes and covered porches; as well as traditional suburban styles.At StoneBridge there are floor plans to fit virtually all lifestyles. Carriage Style plans such as The Addison, The Belmont, The Chamblee and many more. At StoneBridge they also are now building Traditional Plans such as The Arlington [seen below], The Kendra, and The Hamilton. The amenities at Stonebridge are fabulous and include a gracious three-building Clubhouse Village featuring a fabulous Fitness Center, take the time to improve your tennis game next year or take your children to the amazing playground. When the hot summer comes around, you can pass away the time at the inviting Junior Olympic Pool. Open Green Spaces abound and you will love the spacious Village Lawn ...where you can engage in a game of catch or just enjoy a picnic. If you long for the sights and sounds of nature then check out the nature trails for a pleasurable morning or afternoon. The StoneBridge's new home community is located on a 200 acre park-like setting that combines the charm of historic Newnan with the amenities and comforts of new homes. StoneBridge offers quality homes and extraordinary architectural design and an appreciation of nature with its offering of walking trails and its abundance of green space. When choosing a new home community, the schools are a great consideration. No worries.....there are these great schools for your children. Homeowners with children may attend Newnan Crossing Elementary, Arnall Middle and East Coweta High. *Information is believed to be accurate but is not warranted. Subject to errors, omissions, change or withdrawal without notice. * $5000 bonus is good on homes that close by 4/30/15. 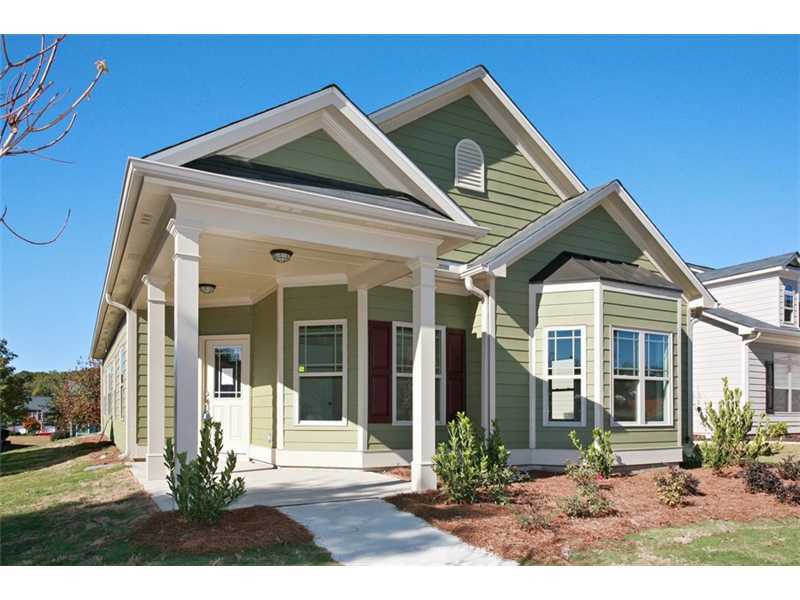 Stonebridge in Newnan NOW Offering $5000 Any Way You Want It! 11 Homes Move-In Ready! Why should you choose Stonebridge in Newnan? Gracious Variety - You can choose from townhomes, turn-of-the-century homes with features such as detached rear-entry garages with private access lanes and covered porches; as well as traditional suburban styles.At StoneBridge there are floor plans to fit virtually all lifestyles. Carriage Style plans such as The Addison, The Belmont, The Chamblee and many more. At StoneBridge they also are now building Traditional Plans such as The Arlington [seen below], The Kendra, and The Hamilton. Resort Style Amenities - Gracious three-building Clubhouse Village featuring a fabulous Fitness Center, take the time to improve your tennis game next year or take your children to the amazing playground. When the hot summer comes around , you can pass away the time at the inviting Junior Olympic Pool. Open Green Spaces abound and you will love the spacious Village Lawn ...where you can engage in a game of catch or just enjoy a picnic. If you long for the sights and sounds of nature then check out the nature trails for a pleasurable morning or afternoon. 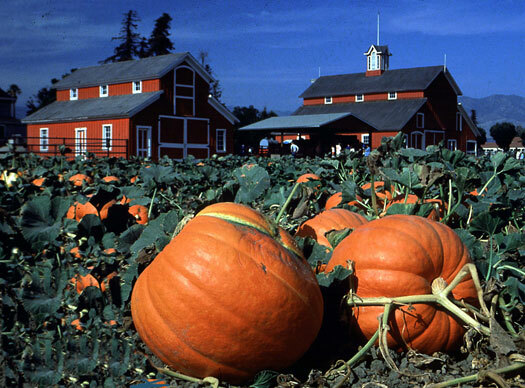 Top-Notch Schools - When choosing a new home community, the schools are a great consideration. No worries.....there are these great schools for your children. Homeowners with children may attend Newnan Crossing Elementary, Arnall Middle and East Coweta High. Have you ever driven past a community and thought to yourself....I would love to live there but the prices are a little high for your budget? Great news! Stonebridge in Newnan is now building townhomes in their beautiful community! The amenities at StoneBridge are top-notch with a gracious three-building Clubhouse Village [clubhouse interior pictured below] where you can work out at the Fitness Center. Take the time to improve your tennis game next year or take your children to the amazing playground. When the hot summer comes around , you can pass away the time at the inviting Junior Olympic Pool. Open Green Spaces abound and you will love the spacious Village Lawn ...where you can engage in a game of catch or just enjoy a picnic. If you long for the sights and sounds of nature then check out the nature trails for a pleasurable morning or afternoon. Right now there are 8 units under construction. Two of the townhomes are end units and there are 6 interior units. If you would love a brand new home that is less than rent...check out these spectacular new townhomes. They are being built now...so stay tuned for pictures. nesters, retirees and singles then Stonebridge is your kind of place! Linda stays very busy recently and is excited for the new year at StoneBridge. According to an article written in NBCnews.com, 2015 is the year to buy a new home with rents expected to soar this year. While younger Americans may prefer the flexibility of renting, home ownership is becoming more enticing, financially. Fannie Mae and Freddie Mac recently announced new low-down payment loans (3% down), mortgage rates are still very attractive, and renting is just plain more expensive than owning in many metropolitan markets. There are also many other programs out there to help the new homebuyer make their dream a reality. If you are looking for variety in a new home community, than consider this community. You can choose from townhomes; turn-of-the-century homes with features such as detached rear-entry garages with private access lanes and covered porches; as well as traditional suburban styles.At StoneBridge there are floor plans to fit virtually all lifestyles. Carriage Style plans such as The Addison, The Belmont, The Chamblee and many more. At StoneBridge they also are now building Traditional Plans such as The Arlington, The Dawson, and The Hamilton. *Information is believed to be accurate but is not warranted. Subject to errors, omissions, change or withdrawal without notice. Despite the cold weather and the holidays....StoneBridge is selling rapidly these past few weeks! In just a short span of 6 weeks, they have put 4 homes under contract and have three more pending to write. Who is buying so many homes at StoneBridge? The onsite agent, Linda Chapman, says there is a variety of new home buyers including young families, empty-nesters, retirees and singles. It is easy to see that StoneBridge is perfectly designed to appeal to a wide range of homebuyers. Linda has stayed very busy recently and is excited for the new year at StoneBridge. There are many reason to buy a new home many potential homebuyers dislike new home communities because they have the "Stepford Wives" look and feel. Not at StoneBridge! If you are looking for variety in a new home community, than consider this community. You can choose from townhomes;(stay tuned for more) turn-of-the-century homes with features such as detached rear-entry garages with private access lanes and covered porches; as well as traditional suburban styles.At StoneBridge there are floor plans to fit virtually all lifestyles. Carriage Style plans such as The Addison, The Belmont, The Chamblee and many more. At StoneBridge they also are now building Traditional Plans such as The Arlington, The Dawson, and The Hamilton. The amenities at StoneBridge are top-notch with a gracious three-building Clubhouse Village where you can work out at the Fitness Center. Take the time to improve your tennis game next year or take your children to the amazing playground. When the hot summer comes around , you can pass away the time at the inviting Junior Olympic Pool. Open Green Spaces abound and you will love the spacious Village Lawn ...where you can engage in a game of catch or just enjoy a picnic. If you long for the sights and sounds of nature then check out the nature trails for a pleasurable morning or afternoon. Homes Ready NOW at Stonebridge in Newnan...hurry in to claim yours! Stonebridge is excited to announce that they have homes ready to close now! For a limited time...they are offering * $5000 "any way you want it" at their popular community on homes that close by December 31, 2014 so hurry in to claim your new home. 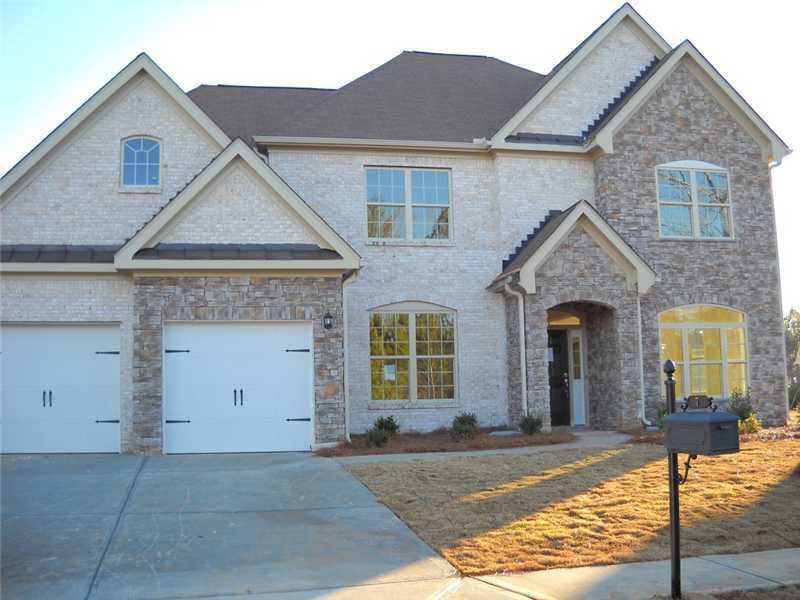 A unique community, Stonebridge is becoming increasingly popular in the Newnan area. If you are looking for variety in a new home community, than check out Stonebridge. At this amazing new home community you can choose from townhomes; turn-of-the-century homes with features such as detached rear-entry garages with private access lanes and covered porches; as well as traditional suburban styles. At StoneBridge there are floor plans to fit virtually all lifestyles. Carriage Style plans such as The Addison, The Belmont, The Chamblee and many more. At StoneBridge they also are now building Traditional Plans such as The Arlington, The Dawson, and The Hamilton. If you think amenities are important, Stonebridge has some amazing ones. You will enjoy a gracious three-building Clubhouse Village where you can work out at the Fitness Center or improve your Tennis Game! Children will enjoy the amazing playground and the whole family will pass many hours next summer at the inviting Junior Olympic Pool. Open Green Spaces abound and you will love the spacious Village Lawn ...where you can engage in a game of catch or just enjoy a picnic. If you long for the sights and sounds of nature then check out the nature trails for a pleasurable morning or afternoon. New homes at StoneBridge will start from the $180's and children may attend Newnan Crossing Elementary, Arnall Middle and East Coweta High. *Information is believed to be accurate but is not warranted. Subject to errors, omissions, change or withdrawal without notice. *$5000 "any way you want it" buyer bonus is good only on homes that close by 12/31/2014. See onsite sales consultant for full details and requirements. While you are in the area stop by and tour our beautiful new homes and see how relaxing it would be to live at Stonebridge. The homes at StoneBridge are designed to accommodate a variety of family sizes and lifestyles, and will include townhomes; turn-of-the-century homes with features such as detached rear-entry garages with private access lanes and covered porches; as well as traditional suburban style homes. At StoneBridge there are floor plans to fit virtually all lifestyles. Carriage Style plans such as The Addison, The Belmont, The Chamblee and many more. At StoneBridge they also are now building Traditional Plans such as The Arlington, The Dawson, and The Hamilton. Whatever your lifestyle, StoneBridge is sure to have the right price-point, amenities, lifestyle and plan to help you put you into a new home. Where else can you find such amenities at this price point? You will enjoy a gracious three-building Clubhouse Village where you can work out at the Fitness Center or improve your Tennis Game! Children will enjoy the amazing playground and the whole family will pass many hours this summer at the inviting Junior Olympic Pool. Open Green Spaces abound and you will love the spacious Village Lawn ...where you can engage in a game of catch or just enjoy a spring or summer picnic. If you long for the sights and sounds of nature then check out the nature trails for a pleasurable morning or afternoon stroll. StoneBridge has new homes now available and is conveniently located in Coweta County in the city of Newnan, off of I-85 at Exit 47. StoneBridge is in the heart of Newnan’s new cultural district, directly across the street from Newnan’s Arts and Civic Center, and nearby to shopping, recreation and dining. New homes at StoneBridge will start from the $150's and children may attend Newnan Crossing Elementary, Arnall Middle and East Coweta High. Have you ever visited a place and just felt right at home? You just get a peaceful, easy feeling that all is right with the world. Stonebridge in Newnan is that kind of place!The homes at StoneBridge are designed to accommodate a variety of family sizes and lifestyles, and will include townhomes; turn-of-the-century homes with features such as detached rear-entry garages with private access lanes and covered porches; as well as traditional suburban style homes. Simpler times and places bring thoughts of easy living...where life is not rushed and frenzied but neighbors take the time to form life-long friendships, borrow a cup of sugar or sit on the porch with some "southern iced tea" and chat away the afternoon. Even if your day happens to be a bit rushed, you’ll feel yourself slowing down when you come home to StoneBridge. Drawing from the small town feel relished in Newnan and throughout Coweta County, the neighborhood is designed with a true sense of community in mind. The homes at StoneBridge are designed to accommodate a variety of family sizes and lifestyles, and will include townhomes; turn-of-the-century homes with features such as detached rear-entry garages with private access lanes and covered porches; as well as traditional suburban style homes. At StoneBridge there are floor plans to fit virtually all lifestyles. Carriage Style plans such as The Addison, The Belmont, The Chamblee and many more. At StoneBridge they also are now building Traditional Plans such as The Arlington, The Dawson, and The Hamilton. Whatever your lifestyle, StoneBridge is sure to have the right price-point, amenities, lifestyle and plan to help you put you into a new home. The Model Home is The Belmont: a cottage-style home with three bedrooms and two bathrooms. The Belmont will represent some of the finest features and craftsmanship that are offered. You will love this stepless ranch with Foyer, Formal Dining Room, Kitchen overlooks Breakfast Area and has Breakfast Bar,Vaulted Gathering Room with a corner fireplace and covered porch. The Owner's Chamber features a trey ceiling, walk-in closet and a rejuvenating Owner's Bath with double vanity with separate shower and tub. Secondary bedrooms are good-sized with vaulted ceilings. Stop by and see the quality and craftsmanship available.